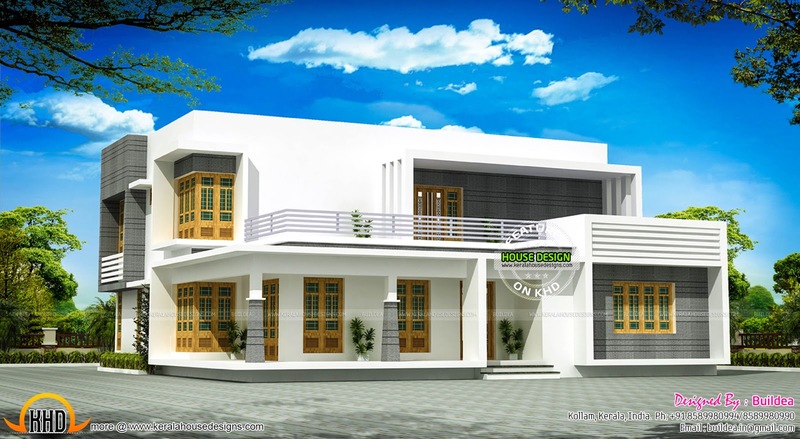 2760 Square Feet (256 Square Meter) (307 Square Yards) flat roof contemporary house plan. Designed by Buildea, Kollam, Kerala. Ground floor : 1996 sq.ft. Total Area : 2760 sq.ft.